Plans for the fourth Crosspool Festival are progressing well. Make sure you have the dates in your diary: Friday 28 June–Sunday 7 July. The full programme and ticket details will be available in May, but in the meantime the first details from Frances Eccleston and the Festival Committee about some events are below. Those with enough energy can follow it with a barn dance and meal at St. Columba’s in the evening – or alternatively relax to the sound of the organ in a recital at Tapton Congregational Church. Lots of other events are in the pipeline too, so look out for the programme in May, and we’ll also keep you posted through this website. Could you help design posters and fliers? The organising committee is looking for someone to help design posters and fliers for the festival. This would suit someone with computer skills and a bit of artistic flair, and who could spare a few hours in early May. For more information contact Frances Eccleston on f.m.eccleston@gmail.com or 0114 267 0006. 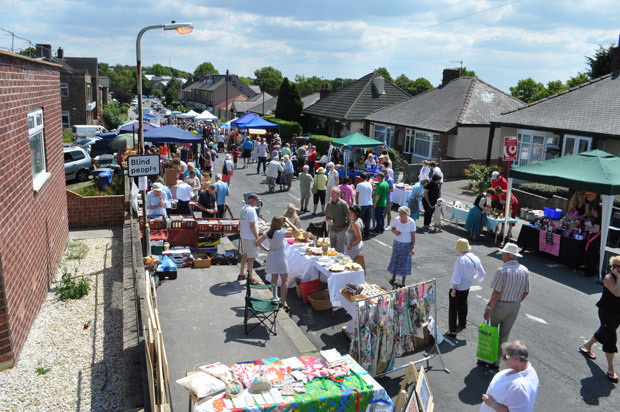 This entry was posted in crosspool, crosspool festival 2013, events, volunteering and tagged barn dance, church service, coldwell lane, crosspool festival 2013, design, marketing, ogan recital, open gardens, paul hobson, publicity, selborne road street market, stephen hill church, summer fayre, well dressing, wild derbyshire. Bookmark the permalink.